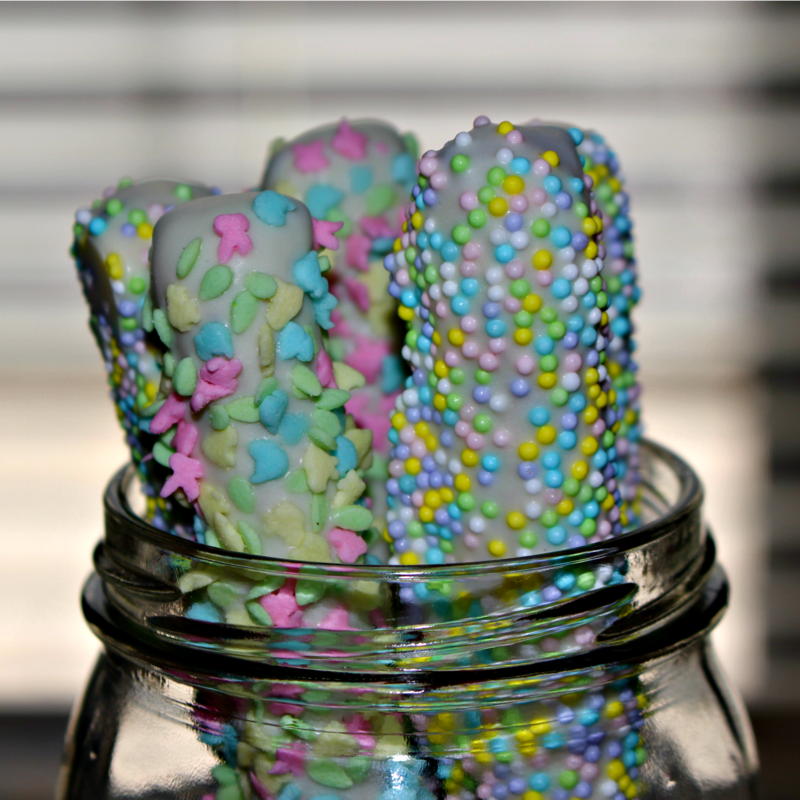 Is there anything better than a sweet and salty snack? I know that's what I'm always in the mood for! Dipped pretzels are a huge favorite in our home and these are so easy to make! You'll need a bag of pretzel rods, a package of white chocolate bark and a container or two of your favorite spring sprinkles! Melt 2-3 chocolate blocks in the microwave for 30 seconds, stir, and repeat. Once they have become liquid remove the bowl from the microwave. 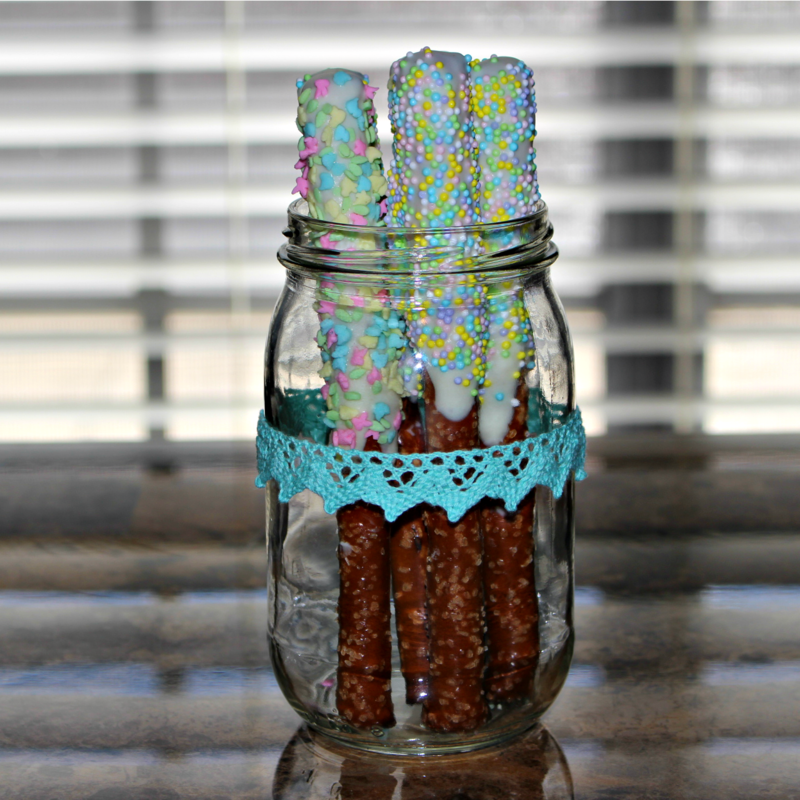 Take the pretzel rods one by one and dip half of them into the chocolate. 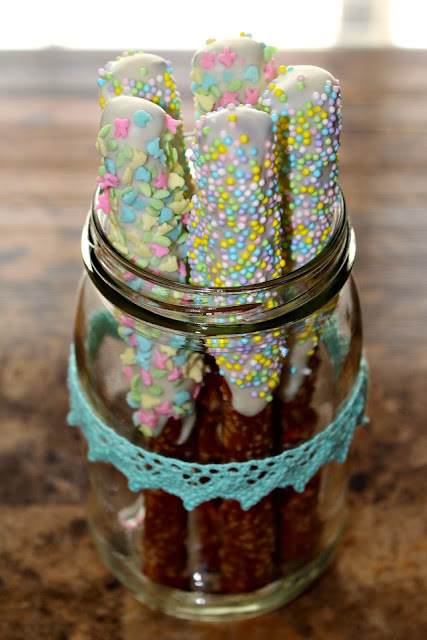 Before the chocolate melts, add the sprinkles to the pretzel rods. Set aside on a tray with wax paper and then place in the freezer for 10-15 minutes or until hard. I hope your family enjoys these as much as mine does!